Looking for a simple side dish for tonight’s dinner? 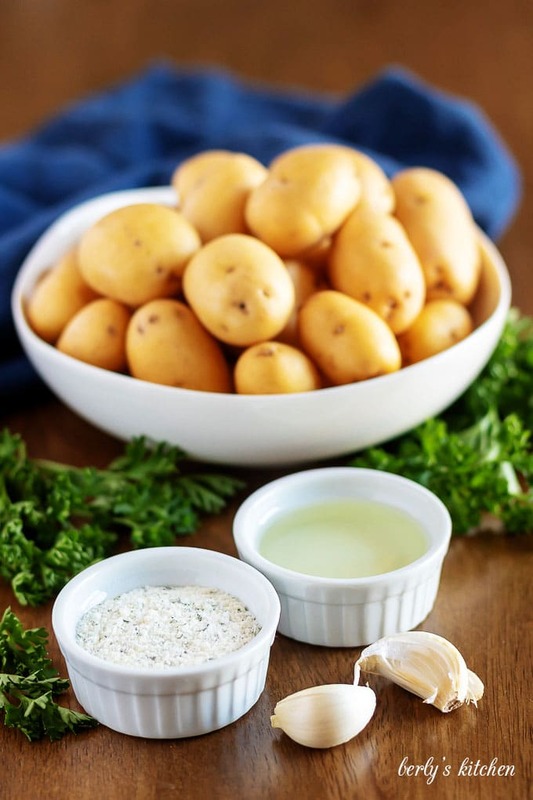 Then try our 4-ingredient oven baked ranch potatoes. 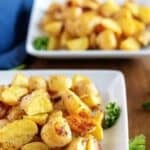 Golden potatoes seasoned with a blend of spices! Kim and I have quite the list of new recipes for 2019, in addition to some older posts that we feel need a refresh. One of the new ones happens to be today’s offering, our oven baked ranch potatoes. It’s such a simple dish and the most difficult part is waiting patiently for the kitchen timer to expire. 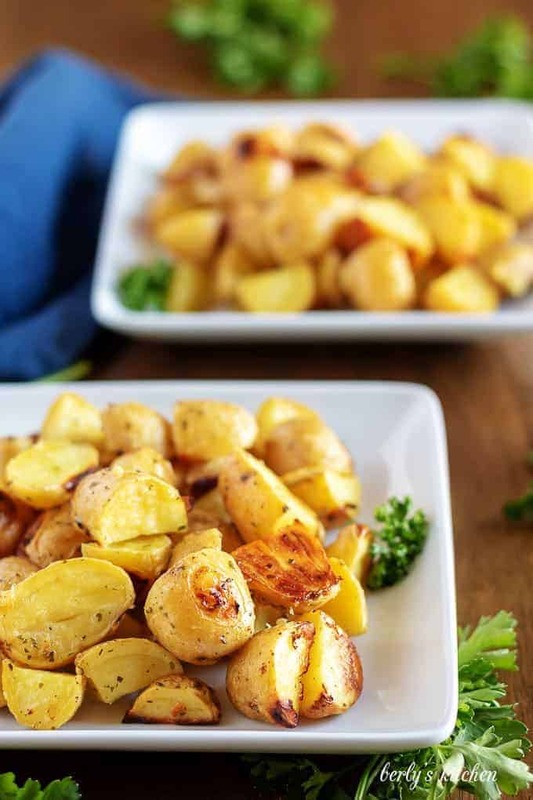 I started making roasted potatoes and onions a long time ago and we fell in love with diced, oven cooked taters. In fact, one of my favorite things to do is pair them with a traditional main course, like meatloaf. All you have to do is toss them in the oven and set a timer. Then you can focus on the main dish without having to worry with complicated side dish recipes. Additionally, there times when I have a burger or pork roast sandwich and I want to ditch the fries. Don’t get me wrong, I’m not saying these ranch potatoes are a healthier alternative. Because, it’s still potatoes cooked in oil. Sometimes, you just don’t want french fries and these make a great substitution. Well, I believe I’ve rambled on long enough. Kim and I doubt you came here to read about boring lives. You’re here for one thing only, the recipe. Before I get to the details, listen me say (or write) one last thing. Do not forget to check out the tips section of the post for helpful information and suggestions. Let’s get this dish started! The recipe card shows around five (5) steps. However, I think for the purposes of the post, I will consolidate them just a little. To begin, preheat your oven to 400 degrees F., grab your taters, ranch seasoning, oil, and garlic. You can then wash and prep your potatoes. You might be wondering, “why should I wash potatoes?” Well, washing them helps remove any dirt or sand that might be stuck in the skins. Once they’ve been washed and dried, use a kitchen knife to cut them into equal sized quarters. I realize that might not be possible for each one, but try to get them around the same size. After that, place them in a large glass mixing bowl. It’s time to dice or mince your garlic using the same knife. At this point, go ahead and sprinkle the garlic over the potatoes. With your garlic in the bowl, you can now add the oil and the ranch seasoning mix. Using either your hands or a big spoon, gently toss the potatoes. Do your best to evenly coat each piece of potato with oil and spices. Now that you have everything dressed, pour the ingredients into a 9×13-inch baking dish. No baking dish on hand, that’s okay. You can use just about any oven-safe cookware for this recipe. Time to cook the ranch potatoes. Place the pan in the oven for about 35-40 minutes (Or less, depending on the pan you chose. See my tips below). When the time has passed, use a fork to see if they’re done. Gently, push the utensil into one of the quarters. If you have to push hard, then they need a little more time. Check again in 5-7 minutes. On the other hand, if the potatoes are done (like ours were), then you’re good to go. Garnish them with parsley or green onions and serve the ranch potatoes while they are hot. When cutting your potatoes, try to ensure all the pieces are of similar size. Otherwise, they will not cook evenly and you will have a mixture of over and under cooked potatoes. The size and shape of your pan does affect the cooking time. So, if you’re in a crunch and want to shave off 5-7 minutes, then use a sheet pan and spread the potatoes out thin. This will leave space in between the pieces and allow heat to circulate around each one. Keep an eye on them and use a fork to test to see if they’re done. A good rule of thumb when baking or roasting vegetables/roots, the closer they’re bunched together, the longer they’ll take to cook. If you need to cut the potatoes in advance, that’s okay. Submerging them in an ice bath (ice and water) will help them retain their color and keep them looking fresh. For extra flavor, while the potatoes cook, consider frying some bacon and crumbling it over the finished side dish. 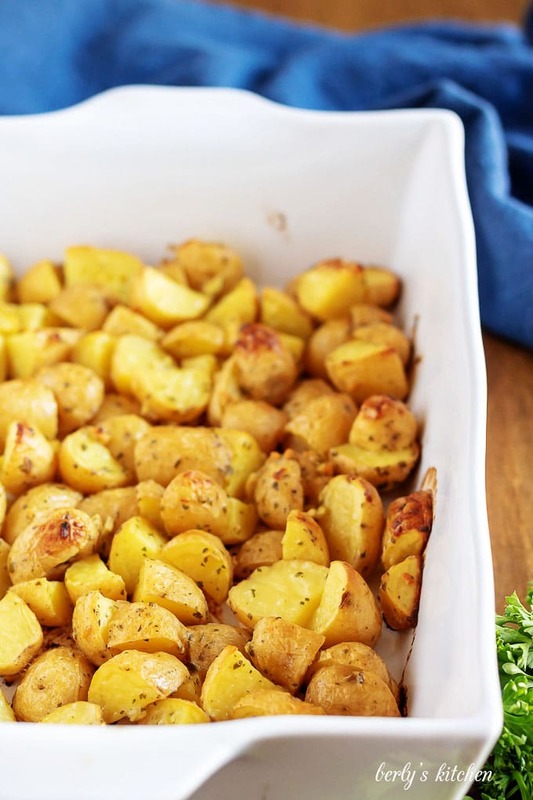 Searching for the perfect main dish for these potatoes? 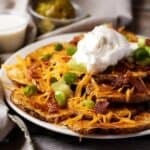 Then take a look at these popular recipes! 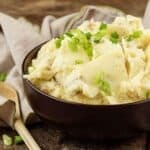 If you like our ranch potatoes recipe, please leave us a comment and rate the recipe card. You can also find us on Facebook, Pinterest, Twitter and Instagram searching for Berly’s Kitchen! 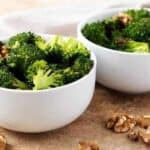 Looking for a simple side dish for tonight's dinner? Then try our 4-ingredient oven baked ranch potatoes. 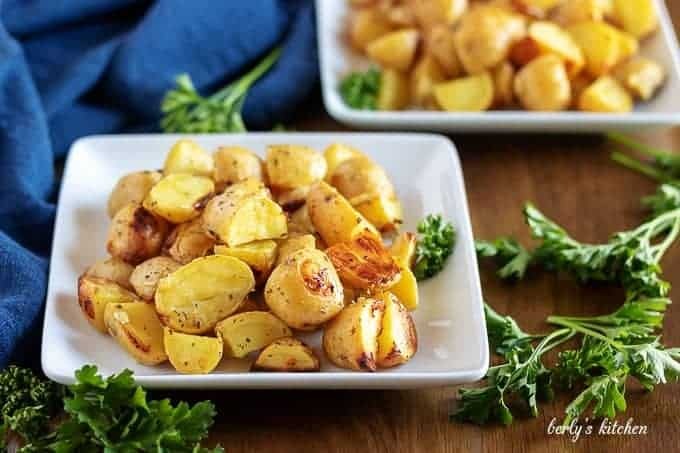 Golden potatoes seasoned with a blend of spices! Wash, dry, and quarter potatoes. Place them in a large bowl or large Ziploc bag. Add the oil, ranch seasoning, and garlic. Toss to combine. Serve hot. Store any leftovers in an airtight container for up to 3 days. 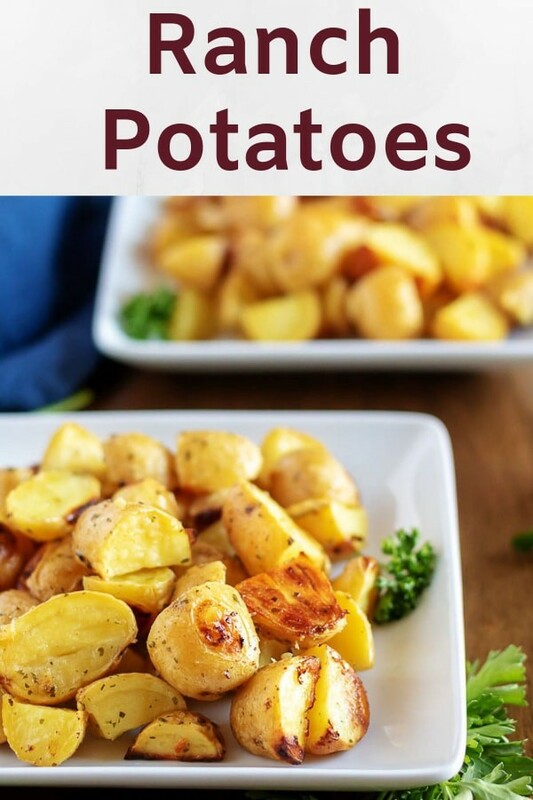 The calories listed are an approximation based on the ingredients and a serving size of four (4) ounces of potatoes. Actual calories will vary. 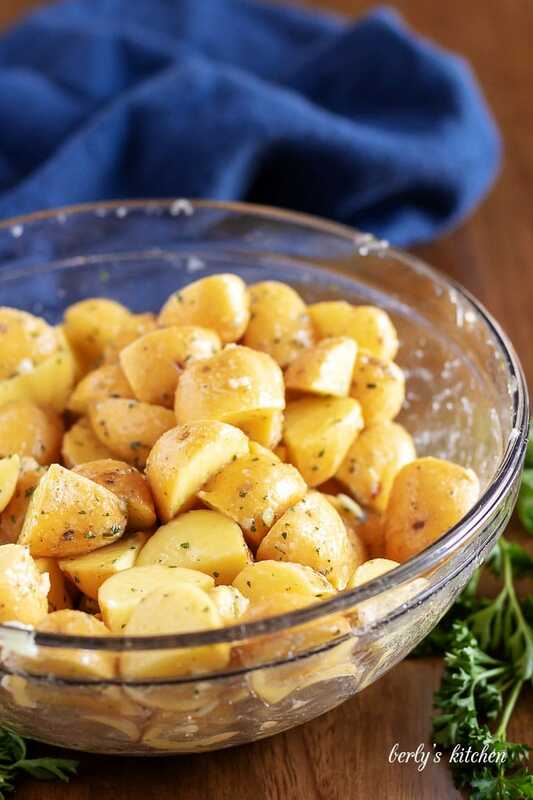 The ranch potatoes can be stored in your fridge for up to 3-days in a sealed container.